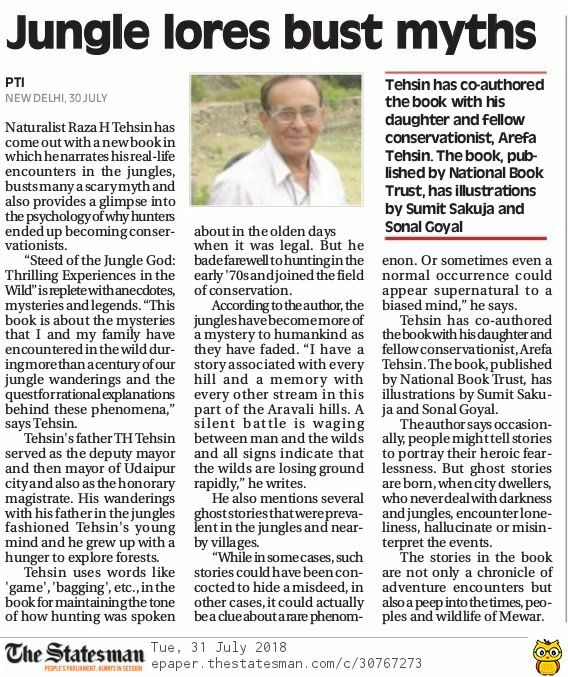 Fondly known as the Vasco de Gama of Mewar forests, the veteran naturalist Dr. Raza Tehsin recounts his encounters with the mysterious, which can be attributed to ghosts and spirits, through his 70+ years of jungle wanderings, and his quest for rational explanations behind these phenomena. 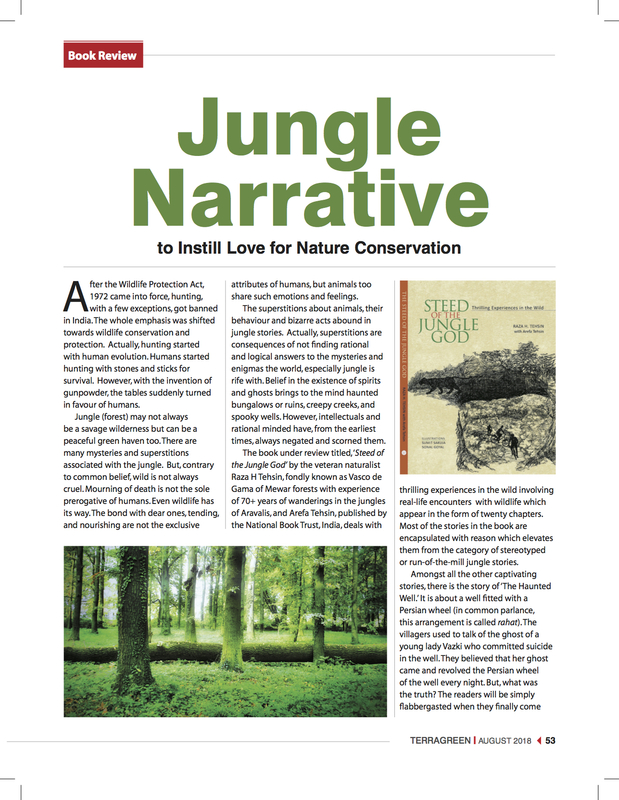 How does one define the real-life encounters compiled in this book as jungle stories? They surely make for an interesting read, offer a peep into the times when man and animal were trying to co-exist, with perhaps man becoming more resourceful even though remaining in the awe of the mesmerising vast thick greens inhabited by tigers, panthers and others of their kith and kin. 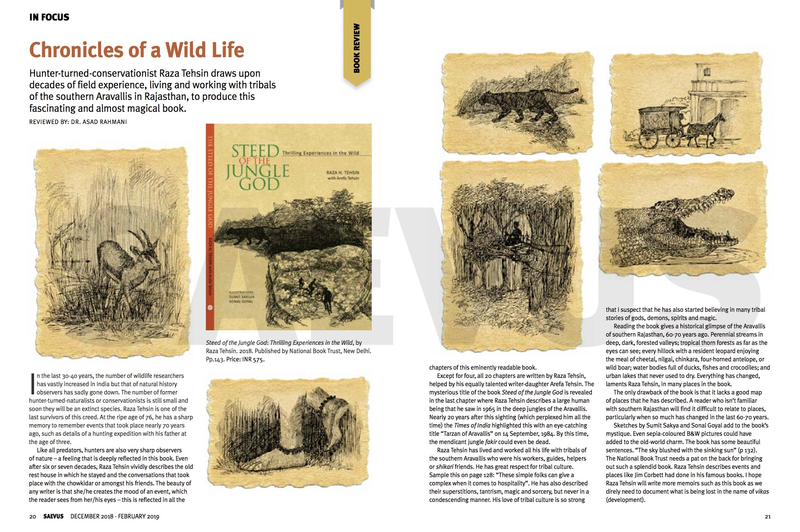 But the stories here are not only a chronicle of adventure encounters that offer a peen into the times, peoples and wildlife of Mewar. 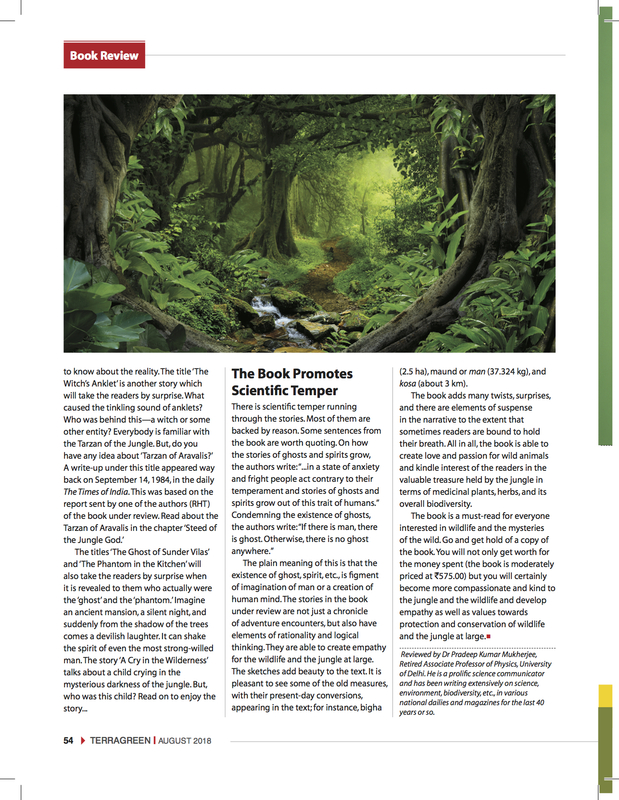 A potent theme of busting many a myth pertaining to the ideas of ghost sightings by the layman in the villages and the jungles also runs parallel thus adding new twists, some light and some not-so-light, to the narrative. It also provides a glimpse into the psychology of why many hunters ended up being distinguished conservationists. 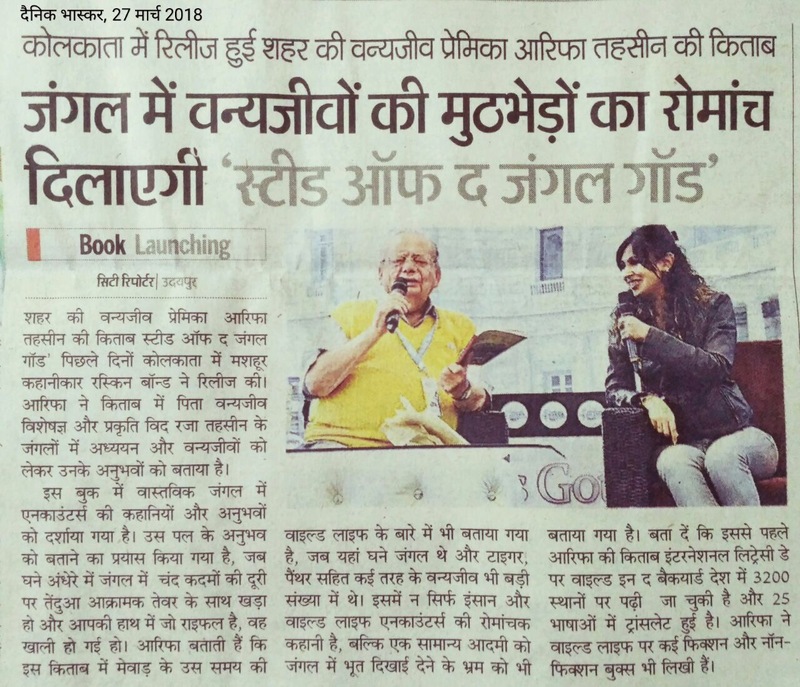 ​The master storyteller Ruskin Bond launches Steed of the Jungle God against the backdrop of the historical Victoria Memorial in Kolkata! 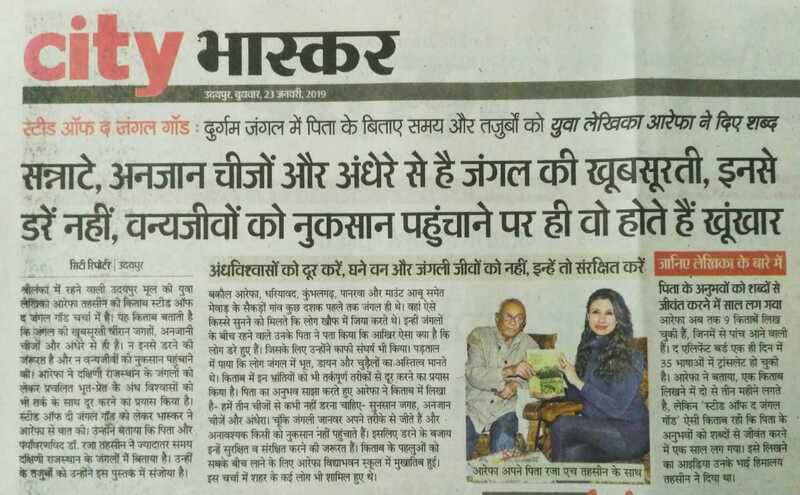 Fondly known as the Vasco da Gama of Udaipur jungles, Raza H. Tehsin is the initiator of Wildlife conservation movement in Southern Rajasthan. He has been instrumental in the establishment of game sanctuaries like Phulwari-Ki-Nal, Sitamata & Sajjangarh, has reported for the first time around 14 species from this region as well as India, worked for decades in raising public awareness about the issues of nature protection and led many a public spirited conservation campaigns. Author of more than 100 research notes and papers in international and national journals and magazines, he has co-authored books with Arefa Tehsin like Tales from the Wild, The Land of the Setting Sun and Other Nature Tales and Do Tigers Drink Blood and 13 Other Mysteries of Nature. A member of various prestigious Wildlife and Natural History societies and chapters, Raza was also the Member, Wildlife Advisory Board, Govt. of Raj. and the Hon. Wildlife Warden of Udaipur district for 33 years. Arefa was shortlisted for The Hindu Young World – Goodbooks Best Author Award 2017 for her book Wild in the Backyard. Her picture book The Elephant Bird was read at 3200+ locations in India from the slums to the Presidential library on the International Literacy Day, 2016 and translated in 25 languages by communities. She is the author of several fiction and non-fiction books on wildlife. 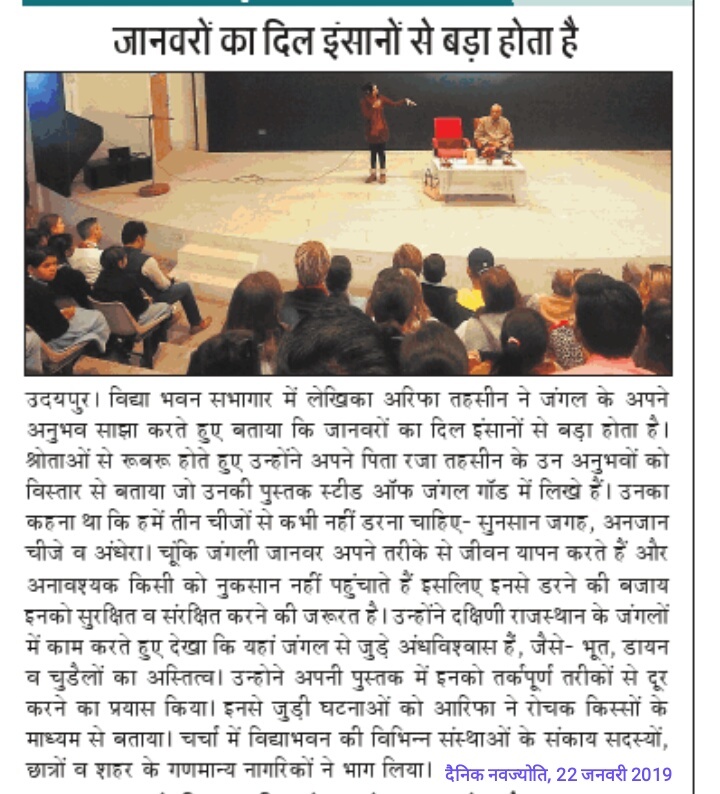 She was appointed as the Honorary Wildlife Warden of Udaipur and has relentlessly pursued nature conservation through her writings and columns. 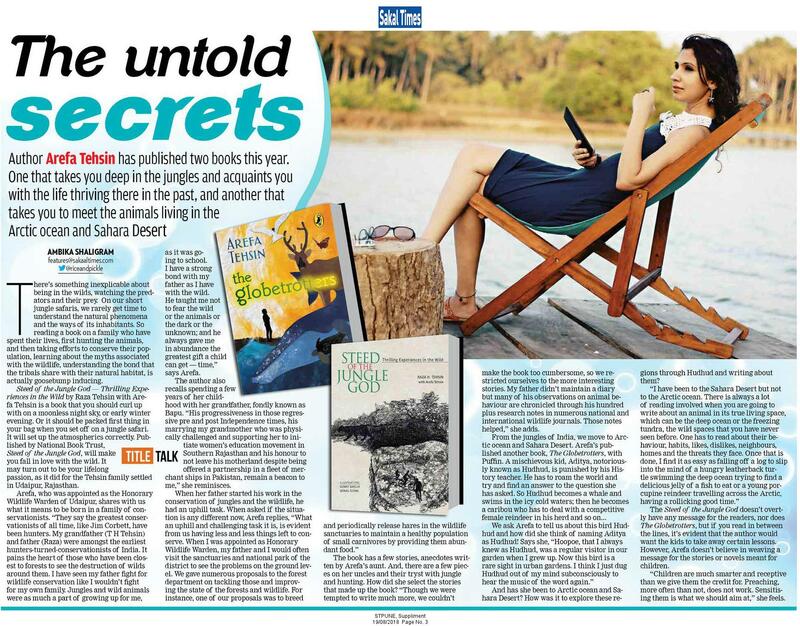 Arefa is also an avid traveller and contributes travel pieces for various publications.